The study of ergonomics assesses how products and spaces are designed to create and develop habits and procedures that are safe for humans’ physiological needs. Ergonomics works by promoting the health of your musculoskeletal system and to prevent injuries. There are several common injuries that can happen when spaces and products that people use are not designed ergonomically. Here is what you need to understand about ergonomics and its importance to you. Ergonomics is very important in your workplace. People who work in sedentary positions for long periods of time may develop injuries over time. If your workspace is designed ergonomically, it will support your ability to complete your work in an effective manner without compromising your wellbeing and health. Ergonomics is particularly pertinent to the workplace where employees are working in stationary positions for extended periods of time. Ergonomically designed workspaces support employees’ ability to work effectively without compromising their health and wellbeing. In some workplaces, employers overlook ergonomics in order to avoid the expense. However, an investment in ergonomics in the workplace can lead to fewer losses overall from time missed from work due to work-related injuries. If the workspaces at your job are not ergonomic, they can cause harm to both the workers and to the company. When employers suffer injuries, they may be forced to miss work and may have to file for workers’ compensation benefits. This can cause the workplace to face financial losses and lower productivity. By emphasizing the importance of ergonomics, companies can help to improve the workplace culture while preventing injuries. It is important to change the corporate mindset so that it embraces ergonomics rather than looking at it as something that is costly and unimportant. Instead of being reactive, companies would be better served by taking proactive measures to implement ergonomics in their workplaces. This can help employees to feel valued while also helping to reduce absenteeism and injuries. 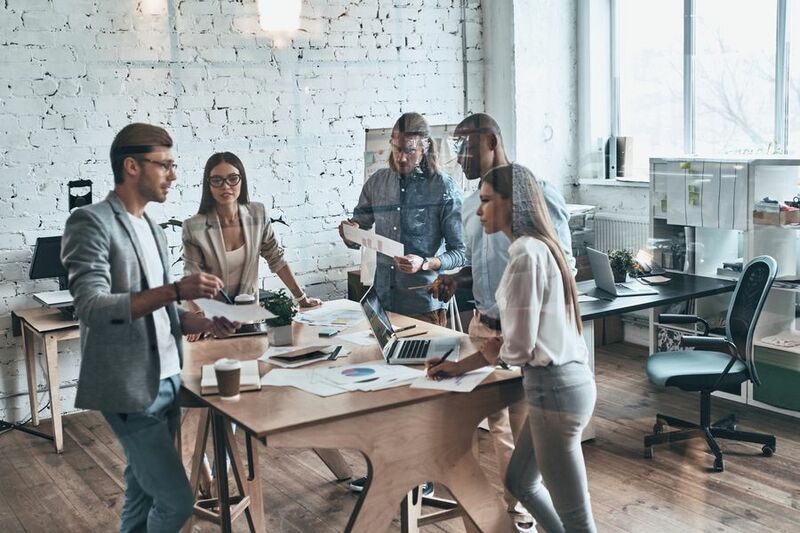 Employees who have comfortable areas in which to work are likelier to remain on the job for longer and have better performance. This can make ergonomics important to the success of the businesses. The best approach to changing the corporate mindset is to use a collaborative approach in which employees and employers have ongoing education about ergonomics. If you have a condition that was caused by a poorly designed workspace, Dr. Haines and the staff at Absolute Health Center can help to alleviate your pain and associated symptoms. We can also make some recommendations about ergonomic designs that might work to prevent injuries in the future. To learn more about how we can help you, call us today to schedule an appointment.